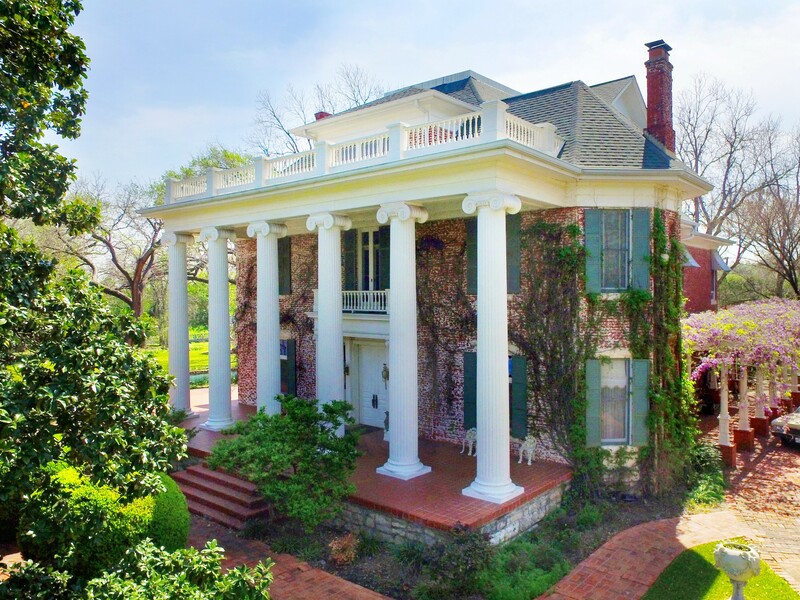 One of the most unique historical mansions in Texas. The Woodbine Mansion in Round Rock, Texas was built 1885-1900 by the original founding family of Round Rock, the Nelsons. In 1854, Andrew J. and Hedwig Nelson of Sweden settled here. Andrew Nelson’s widow and heirs had this house built by Page Brothers, Austin architects, 1895-1900. A son, Thomas Edward, and wife had Dallas architect Wilson McClure restyle the Victorian facade to Classical Revival in 1931. Three generations of Nelsons lived here. 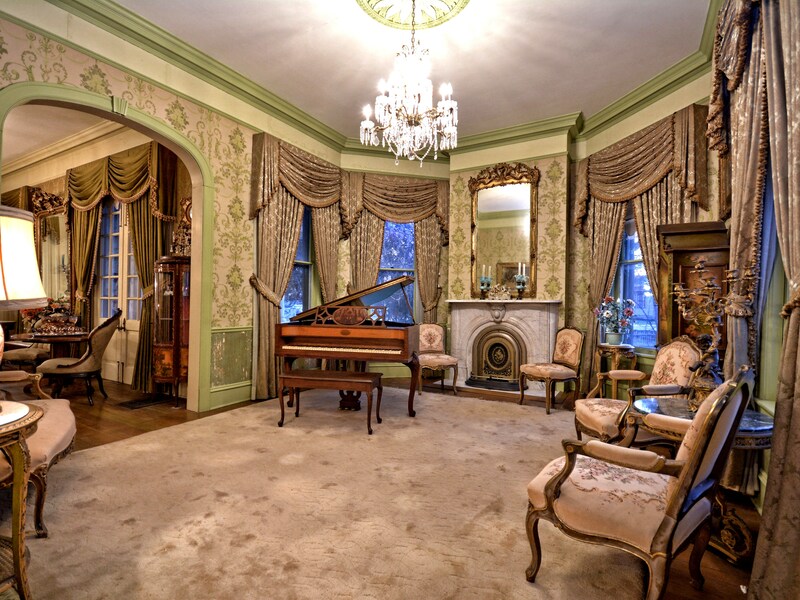 In 1960, Eugene N. and Jean Crier Goodrich bought and renovated the mansion and named it Woodbine. It became a recorded Texas Historic Landmark in 1973. This solid brick beauty still includes the original Barn and entire city block of land (1.6 acres). 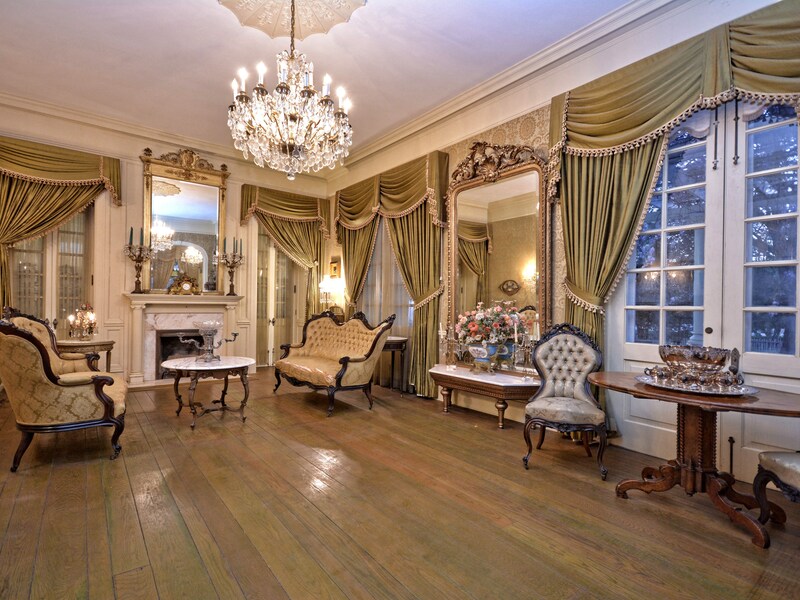 The home has three stories, 18 rooms, 4 and 1/2 baths, and stunning chandeliers throughout. The grounds include a three-room guest house, a two-car garage, pond, gazebo, barn, windmill and mature pecan and Magnolia trees. 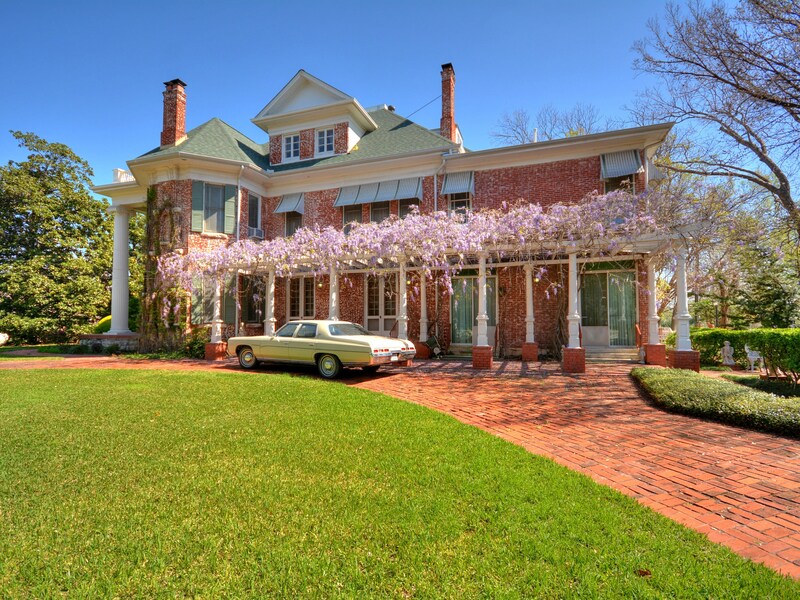 This home is listed for $2.5 million with Realty Austin and is showcased by Luxury Portfolio.